Here is a common sight in communities in the suburbs. Each day, several times a day, the Toyota truck drives slowly by shophouses and announces through a loudspeaker that he's there and ready to sell whatever you need. 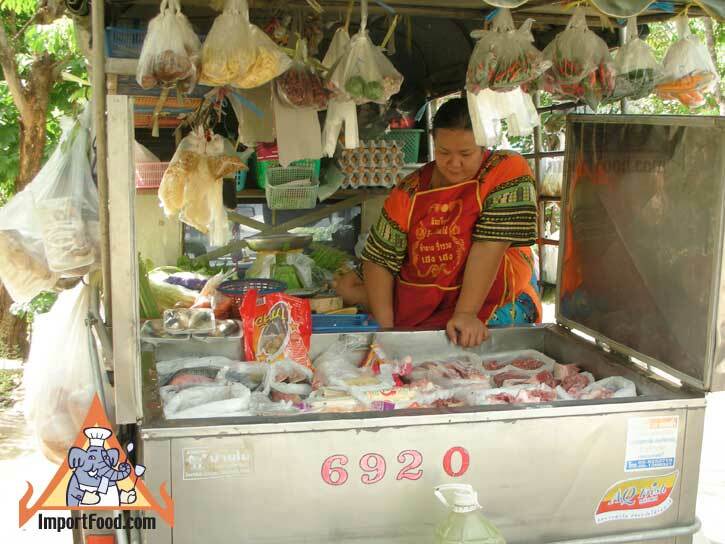 The back of the truck has an ice chest full of meat and seafood, and on the sides of the truck are bags full of fresh fruits, vegetables and herbs harvested that day. 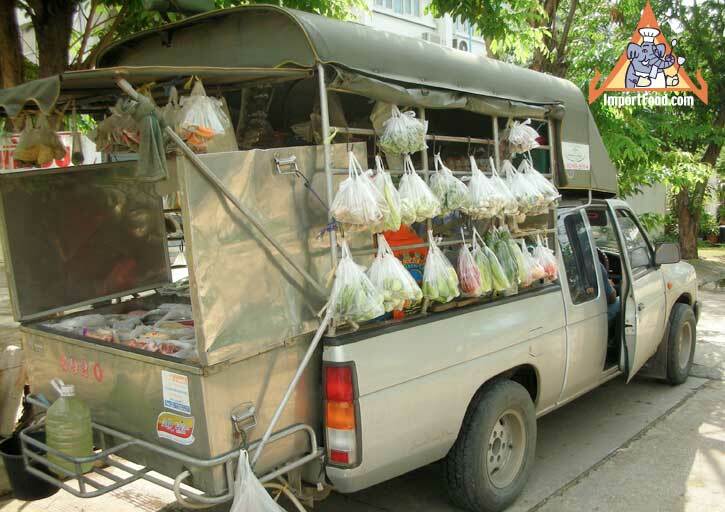 A mobile supermarket--think of the fuel savings if everyone used this guy rather than drive to the store solo. Call your city councilmember and tell them to encourage legal reforms to promote efficiencies such as these. On second thought, do you think this would ever pass the legal constraints we tie ourselves with in America? Probably not. Another one of those things you have to travel overseas to enjoy.